As I sat down to frugal breakfast this morning, I was delighted to find among a lot of otherwise boring mail the new Vitaphone newsletter from that champion of early sound, Ron Hutchinson. This is really great stuff, all about ongoing efforts to locate and preserve vintage talking movies and sound discs that went with them. 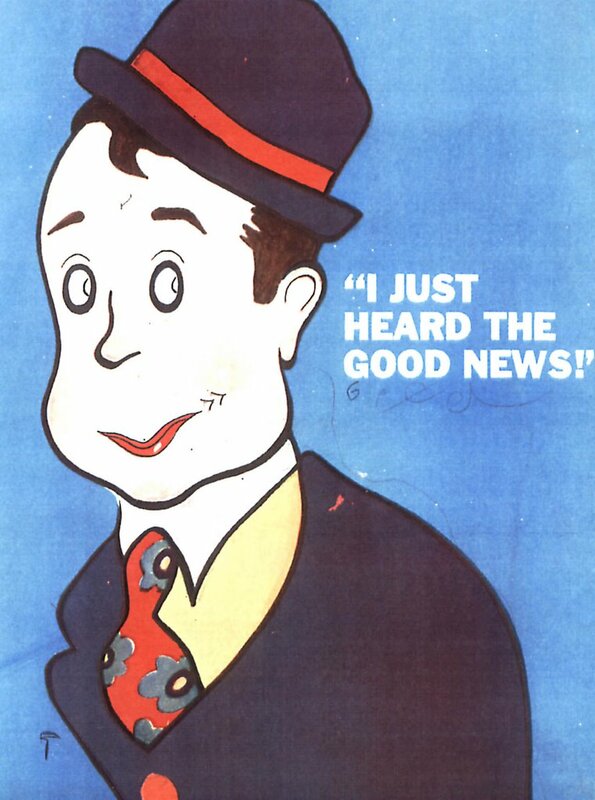 Hutchinson has a terrific website too, and he’ll guide you to venues where Vitaphone restorations are presented on the big screen. 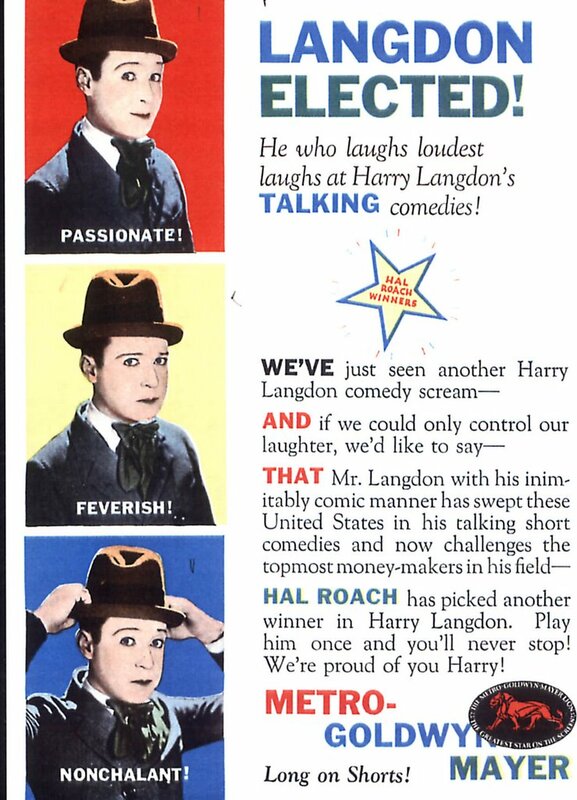 And by the way, here’s a colorful trade ad for an early casualty of the sound era, the great Harry Langdon. For one brief shining moment, he was First National’s top comedy man, having graduated with honors from a series of well-received Sennett shorts. Harry’s one of those tragic figures who achieved a certain grandeur for me at an early collecting age. He’d never get by in today’s hurried comedy market, and for that matter, sledding got tough for Harry even then. I read of his downfall in Kevin Brownlow’s immortal The Parade’s Gone By (if you don’t have this book, get it!). Harry was said to have let success go to his head, and made a dangerous enemy in future big-shot director Frank Capra, who still had the knife out for Langdon forty years later penning his autobiography, long after his nemesis had passed on. Frank even wrote nasty, and public, missives about his old employer after Langdon fired him from First-National. Harry was pilloried for taking over direction of his remaining features at F.N and quickly came a cropper. Audiences and exhibitors gave him the razz, and by mid-1928, he was washing out. These ads were posted in the trades for the 1929-30 season when Harry went back in shorts, and by most accounts, these were an indifferent lot. Hal Roach wasn’t particularly cordial either. He didn’t want Harry grabbing for the megaphone on his lot. Langdon's career would continue, but fitfully, until his death in 1944. I know of precious few screen personalities more fascinating than Harry Langdon. One day Greenbriar will revisit him at greater length.